I had a little time to just play around in my craft room and made this lovely a while back. For no reason other than I wanted to stamp and color. I can always use another birthday card anyway. 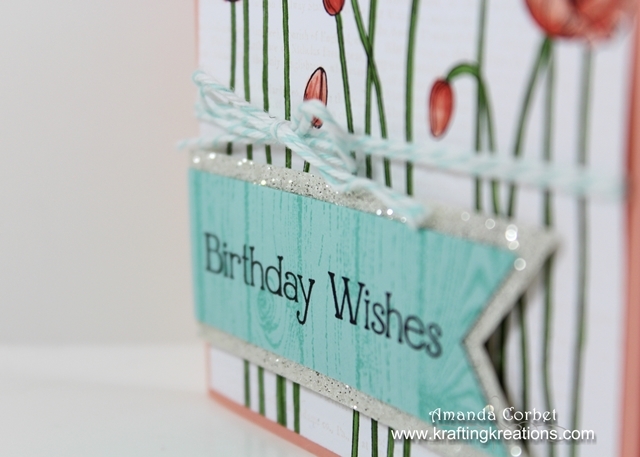 For this card I started off by scoring my Crisp Cantaloupe card base at 4-1/4”. I stamped the Dictionary background stamp onto the Whisper White card stock in Crumb Cake ink. 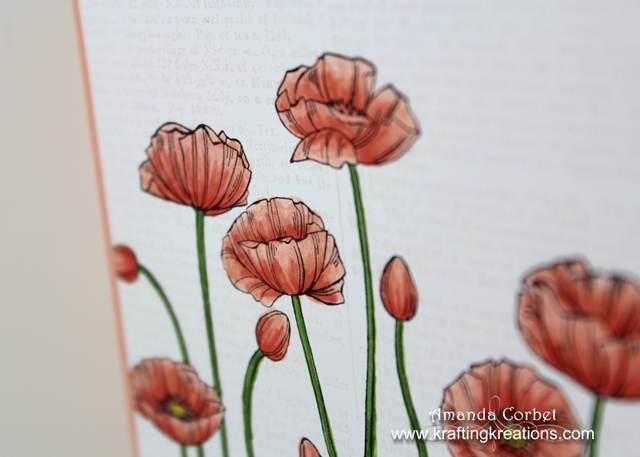 Then I stamped the Pleasant Poppies image onto the Whisper White card stock in Jet Black Stazon ink. 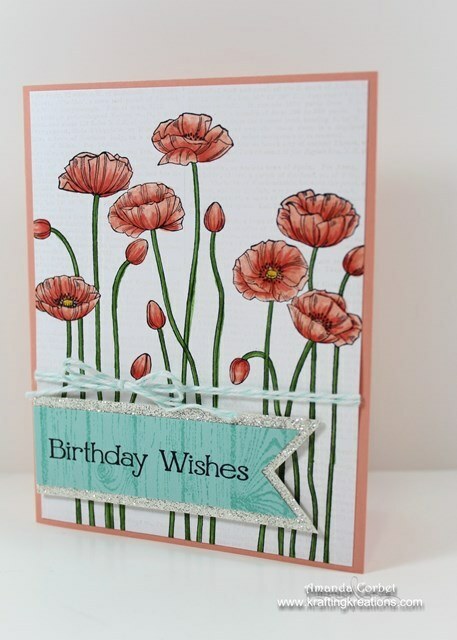 Next I colored the flowers in with my lovely Stampin’ Up markers and glued this layer onto the card front. I really do love coloring. It’s just so relaxing and peaceful. I cut a length of Pool Party Baker’s Twine (I’m not sure how long but about 24” sounds pretty close) then wrapped it around the card stock a couple times and tied the ends into a bow. For the banner I happened to have a scrap of Pool Party that had been stamped with Hardwood in Coastal Cabana ink just lying around begging to be used. So I cut that down to 1” x 3-3/8” and used Paper Snips to cut one end into a pennant shape then stamped the greeting from Four You in Jet Black Stazon ink. I used Multipurpose Liquid Adhesive to glue the banner onto a 1-1/4” x 3-5/8” Silver Glimmer Paper. Once the glue dried for about five minutes or so I cut the end into a matching banner shape with Paper Snips and stuck this down on the card front with a couple Stampin’ Dimensionals. So pretty with some lovely sparkle! Do you find coloring relaxing and peaceful? Or do you find coloring tedious and time consuming?